Compact and comfortable, agile and affordable, Caper Chairs move around easily and brighten up any room with colour and flair. They’re ideal for informal, flexible spaces where rearranging is encouraged—at home or around the office. Caper Chairs do so much, and are nice to have around, precisely because designer Jeff Weber kept the needs of the average person in clear view throughout the design process. 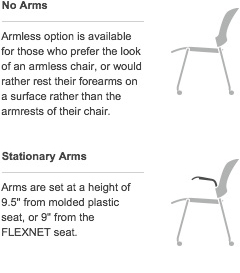 For those wanting a lightweight chair, he made Caper compact; its armless version weighs just 4.3kg. He added portability; the chair even has a handle. For versatility, he made Caper stack, so it can be part of the action or out of the way, depending on what you need. Caper’s polypropylene seat and back are contoured for comfort, flexible and colourful enough to brighten up any room. Holes in the material allow your body to breathe, so moisture and heat dissipate, so you remain cool. 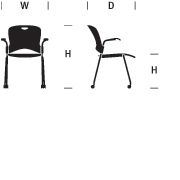 Weber believes that design is “the connective tissue” between people and the environment, and that the quality of that design, whether of a building or a chair, has a profound effect on quality of life. 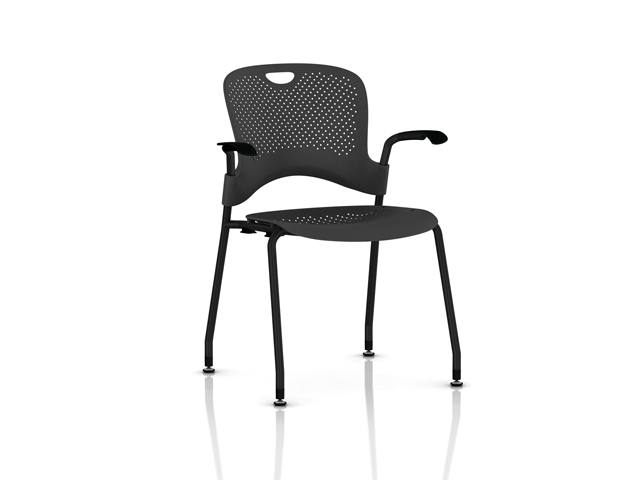 Caper seating, he says, achieves its high level of performance and comfort by “using standard materials in novel ways”. Wash coated metal surfaces with a soft cloth soaked in detergent and warm water; rinse thoroughly and dry.